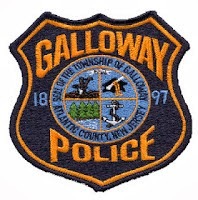 Galloway Township Police responded to 765 calls for service during February 9, 2014 through February 15, 2014. Additional statistics include: 3 Burglaries, 27 Motor Vehicle Accidents, 42 Tickets issued, 1 Driving While Intoxicated, 18 Arrests, 3 Domestic Violence, 22 Fire Calls, 75 EMS Calls and 0 Juvenile call. Alvin Powell, 62, of Egg Harbor Twp was arrested by Ofc. Ronald Gorneau for DWI on Feb 9th. Shayna Davis, 51, of Galloway was arrested by Ofc. Kyle Kuhar for hindering apprehension on Feb. 9th. Gabriel R. Henriquez, 25, of Linwood was arrested by Ofc. Pat Neal for theft on Feb. 11. Cathy V. Dilks, 51, of Chatsworth was arrested by Ofc. Kevin Costa for shoplifting on Feb. 13th. Kevin D. Quince, 24, of Atlantic City was arrested by Ofc. Kevin Costa for hindering apprehension on Feb. 13th.